Well, let's see. Shall I refer to my cookies for cookie exchange last night? Or the handmade gifts I made to give my friends at said cookie exchange? I would say that the amount of items I "make" has increased ten-fold over the last year. 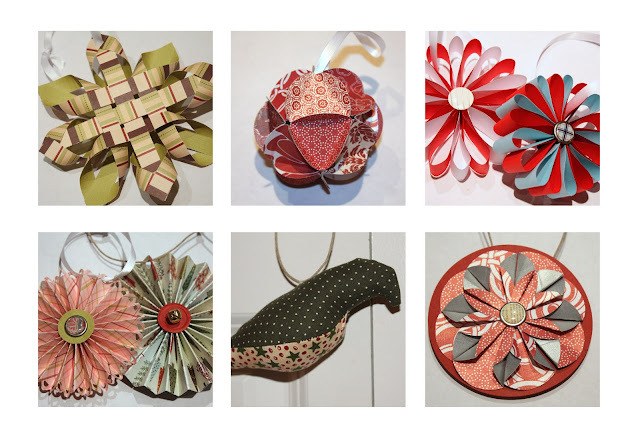 I've always been a crafty admirer - following craft blogs and wishing I had time to make them. But this year I accomplished some big things, including two almost completed quilts and a slew of paper crafts for our store. We'll stick with the ornaments for this post. And if you want to see them and find out more, just head over to Did Someone Say Party. As for something I want to make, you can probably figure that out if you are reading this blog. Just about everything I see in blogland! !